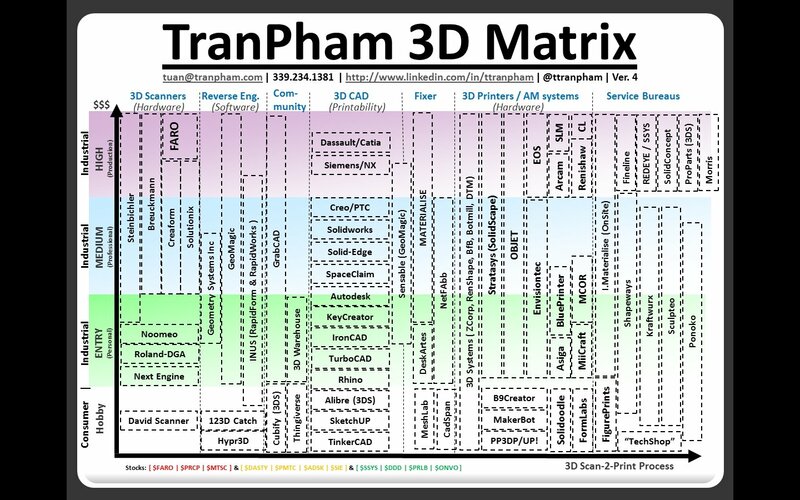 Tuan Tranpham, Referral Community Manager, at Objet North America, emailed us with two graphics he created that provide 1) an overview of the 3D printer market, and 2) a matrix of where the various 3D printing and related (i.e., 3D scanning and 3D modeling) products fit together. We really like these presentations over some of the various 3D printing infographics we’ve seen recently, that look pretty, but don’t disseminate much information. If you don’t know about inforgraphics, they are an extremely popular way to market the underlying site that created or sponsored the creation of the graphic (the SEO world calls this Linkbuilding). Most often, it’s more about making an appealing-looking, big graphic and getting links back to the originating site. Tuan’s work was obviously created with the intent of showing us something of value. 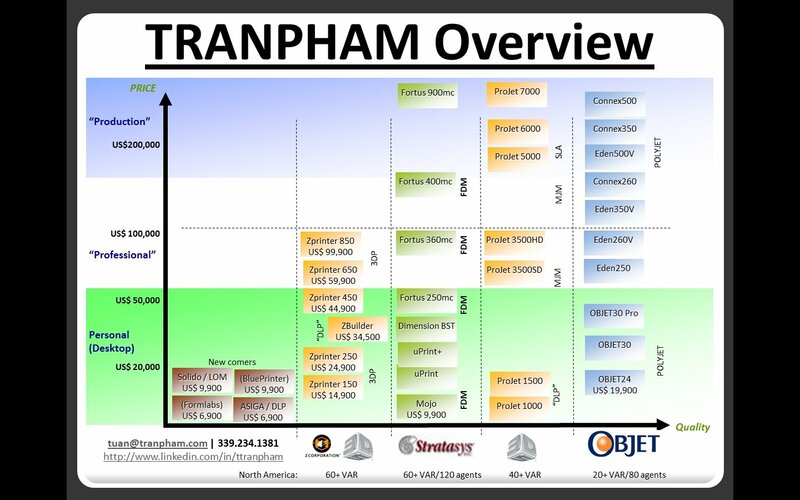 Our hats are off to you, Tuan Tranpham.